We also use this kind of room to accommodate one person. 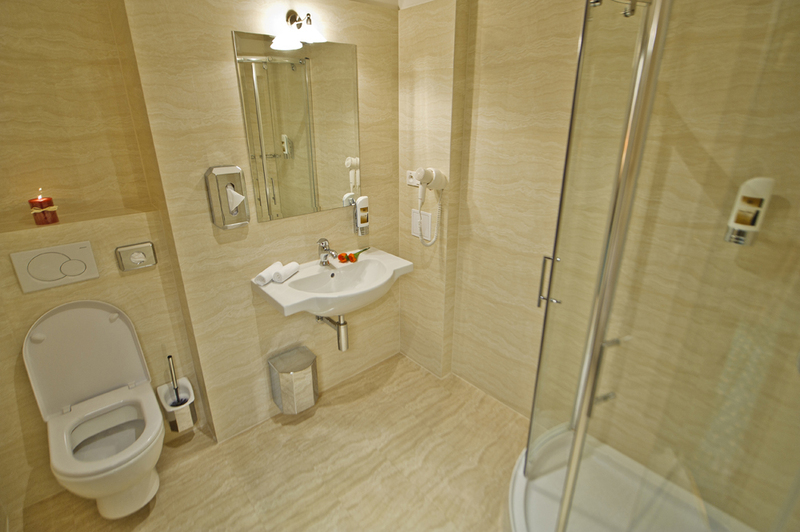 A spacious room (on average 24m₂) with comfortable king size bed (180×200 cm) and bathroom with shower enclosure. 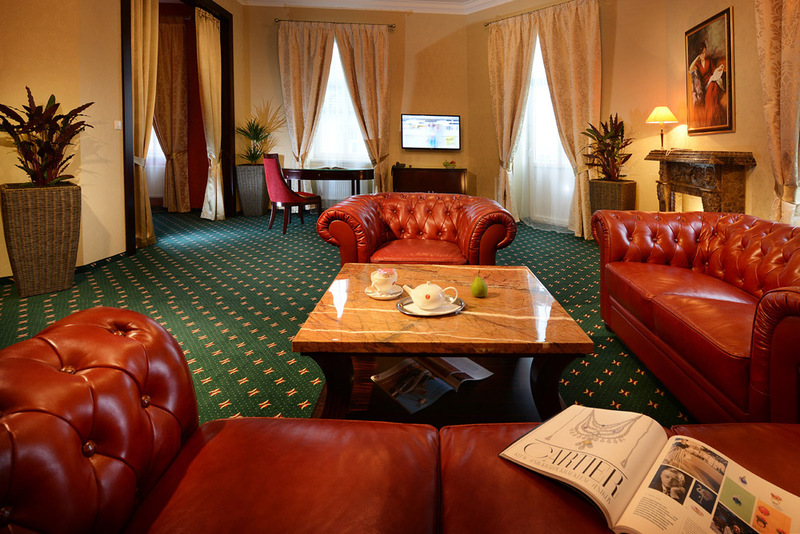 There is a minibar, a safe, an LCD television, a hair dryer, a cable and wireless connection to the internet. A first-class apartment (58m₂) with bedroom connected to living room, which has a bio fuel fireplace. 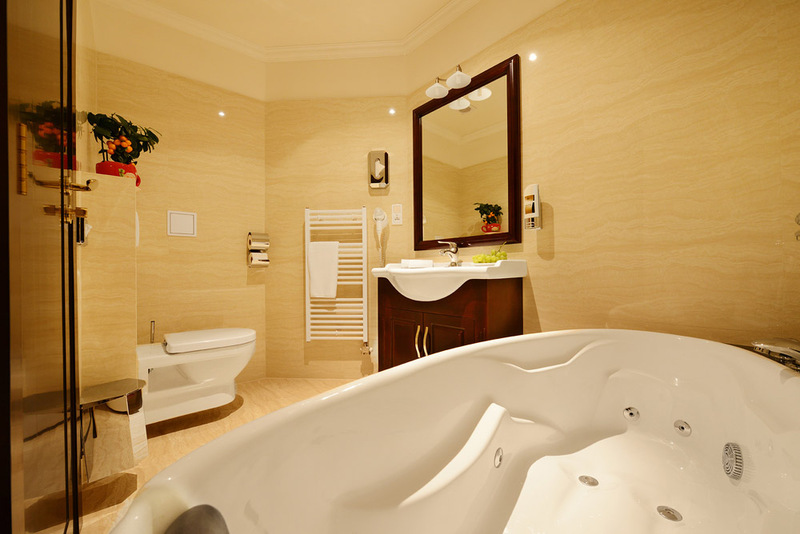 A comfortable king size (180×200 cm) bed and a bathroom fitted with whirpool bath. 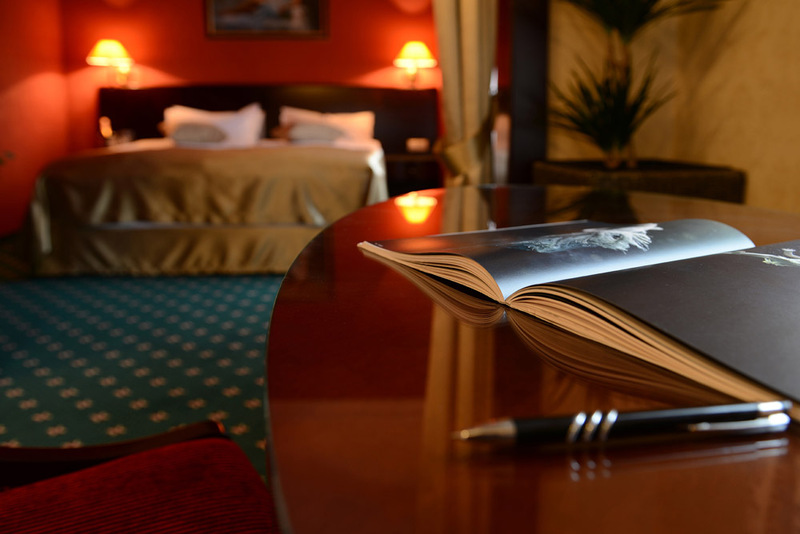 The room is equipped with minibar, safe, LCD television, phone, hair dryer, cable and wireless connection to the internet, dressing gown and slippers. 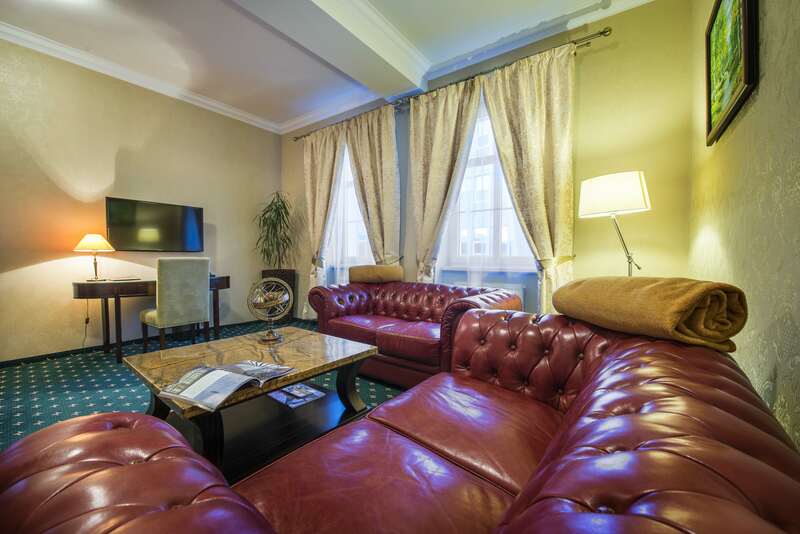 A first-class apartment (55m₂) with separate bedroom and living room. 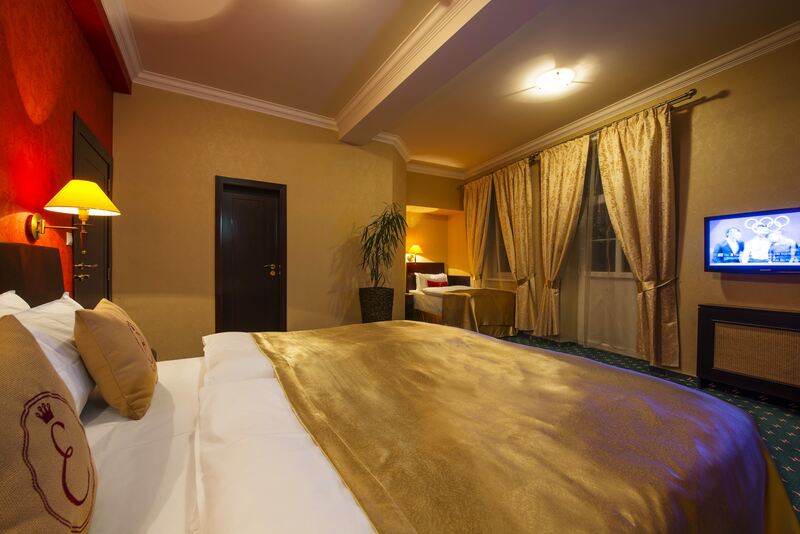 The bedroom consists of a king size (180×200 cm) bed and a single bed (80×200 cm). 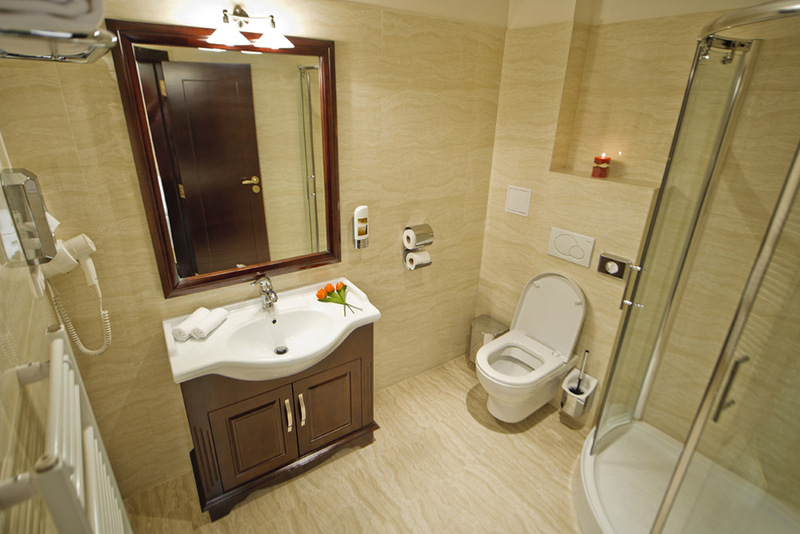 A bathroom fitted with whirpool bath and bidet. 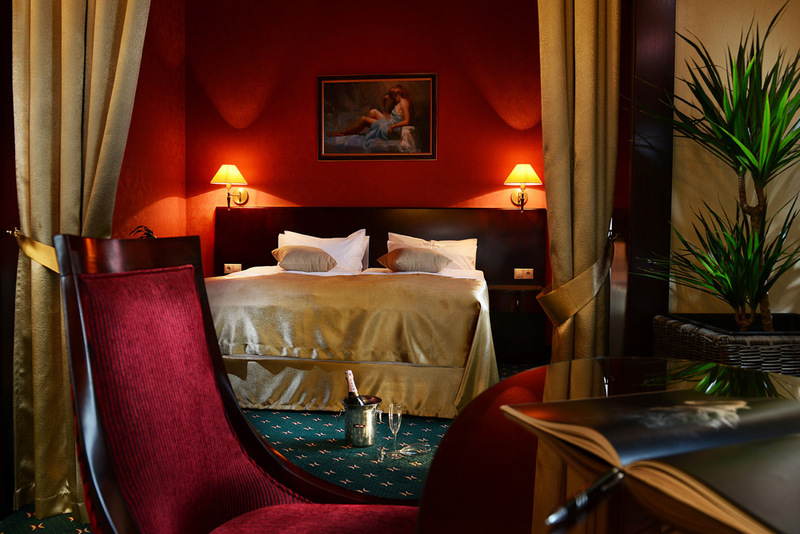 The room is equipped with minibar, safe, two LCD televisions, phone, hair dryer, cable and wireless connection to the internet, dressing gown and slippers. 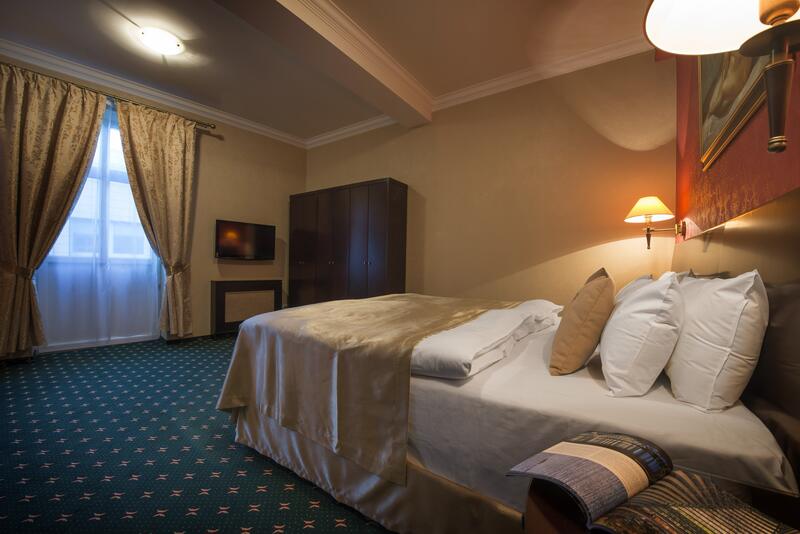 A spacious room (on average 30m₂) with a comfortable king size bed (180×200 cm) and a single bed (80×200 cm). 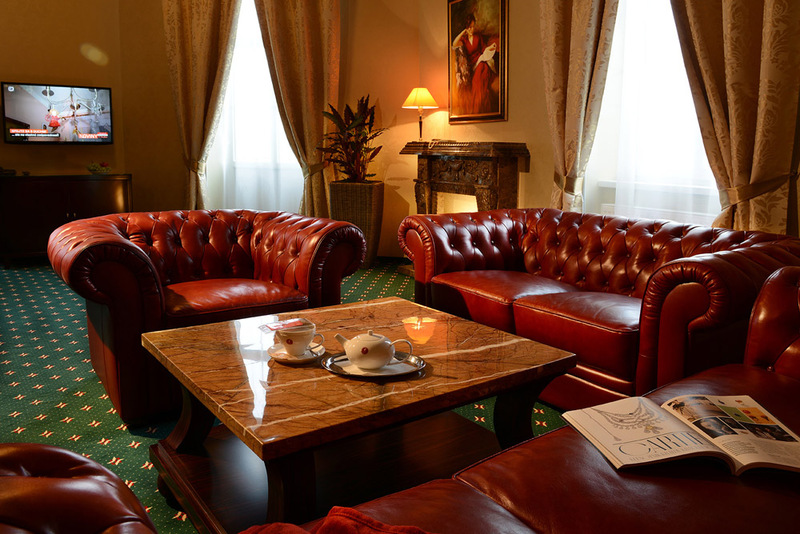 The room is equipped with minibar, safe, LCD TV, phone, hair dryer, cable and wireless connection to the internet. 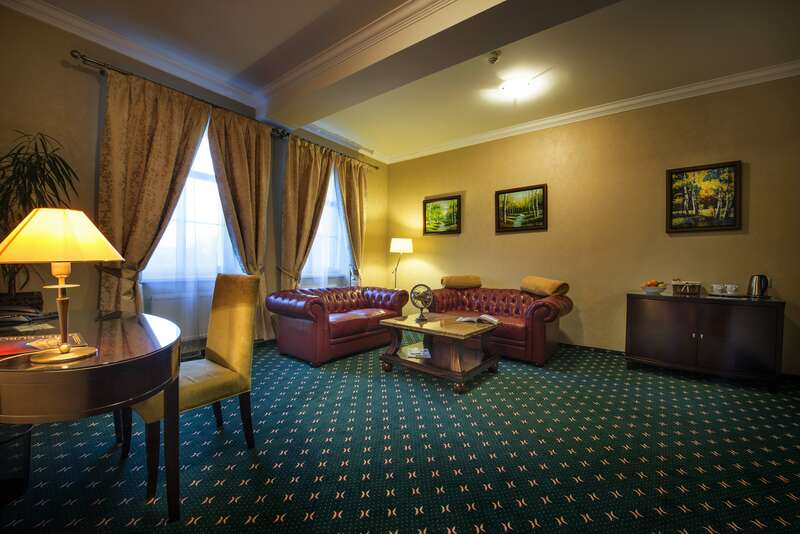 A fully equipped room, smaller compare to the other rooms (12m₂). A comfortable bed (80×200 cm). There is a minibar, a safe, an LCD TV, a phone, a hair dryer, a cable and wireless connection to the internet.